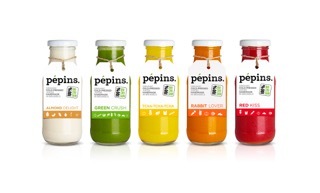 Our 77th “Follow them Friday” features Pépins, one of our local suppliers offering homemade organic juices made in Brussels. Well it is very hard to find a name for a business in the food and beverage industry… We basically sat down and brainstorm for hours to find a name that is not too long, easy to remember and specially relate to our values. This is how we found the name Pepins (which means seed in english). 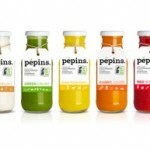 Pepins is an organic Belgian Startup located in Brussels. Our mission is to produce beverages (and soon food) that are healthy and tasty while preserving in the best way we can all the ingredient’s values (vitamins, enzymes, etc…). 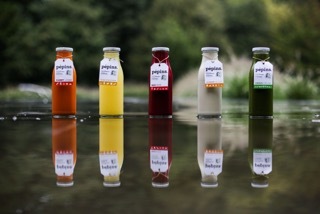 As an example our juice are made using the most innovative technique, which is called cold-press. As a result we have a juice that has no pulp, taste amazingly good and has more vitamins, enzymes and nutriments than any juice you can find on the market. I love eating out, discover new concept, new kind of food that I am not able to cook at home. It inspires us and brings us plenty of idea for the future, what Pepins could offer to our customers. I Love to share whatever I am eating, cooking and eating is about sharing. But if I had to pick one dish, it would probably be a good plate of pasta. The tipsy cake! This is a dessert I had the chance to eat when I was working in London for a restaurant held by Heston Blumenthal. I Love poached egg with smoked salmon but I eat these occasionally. Scrambled is how I eat them most of the time. Many desserts actually! I would say ice cream. I know it is not a dish but this is what influenced me to start baking/cooking. I loved desert when I was a kid (I still do) and I wanted to learn how to make them so I could eat them when I wanted.